When British actor and comedian Dudley Moore died on March 27, 2002, the official cause of death was listed as pneumonia. But, in truth, Moore had been battling a rare condition known progressive supranuclear palsy (PSP) which causes the gradual deterioration of parts of the brain that regulate balance, muscle control, cognitive function, and certain voluntary and involuntary movements such as swallowing and eye movement. While the cause of progressive supranuclear palsy is largely unknown, it thought to be associated with a mutation on a specific part of a gene known as chromosome 17. Unfortunately, it's not all that uncommon a mutation. While nearly every person with PSP has this genetic anomaly so, too, do two-thirds of the general population. As such, the mutation is seen to be a contributing rather than sole factor for the disorder. Environmental toxins and other genetic issues may also play a part. Scientists are also not yet entirely sure to what extent PSP is associated with Parkinson's or Alzheimer's disease with which it shares certain characteristic symptoms. PSP is estimated to affect one of every 100,000 people irrespective of race, geography, or occupation. Men tend to be affected slightly more than women. Symptoms typically appear between the ages of 50 and 60. One of the most characteristic, "tell-tale" symptoms of PSP involves eye movement control, most notably the ability to look down. The condition, known as ophthalmoparesis, causes the weakening or paralysis of certain muscles around the eyeball. Vertical movement of the eyes is also commonly affected. As the condition worsens, the upward gaze may also be impacted. Due to the lack of focal control, persons experiencing ophthalmoparesis will frequently complain about double vision, blurred vision, and light sensitivity. Poor eyelid control may also occur. PSP is commonly misdiagnosed in the early stages of the disease and is often misattributed to an inner ear infection, thyroid problem, stroke, or Alzheimer's disease (especially in the elderly). Diagnosis is made based largely on the review of symptoms. It is a process by which doctors need to exclude other possible causes. A magnetic resonance imaging (MRI) scan of the brainstem may be used to support the diagnosis. In cases of PSP, there will usually be signs of wasting (atrophy) in the part of the brain that connects the brain to the spinal cord. On an MRI, a side view of this brain stem may show what some call a "penguin" or "hummingbird" sign (so named because its shape is like that of a bird). This, along with symptoms, differential investigations, and genetic testing, may provide the evidence needed to make a diagnosis. In order to differentiate PSP from Parkinson's, doctors will take into consideration things like posture and medical history. For example, people with PSP will typically maintain an upright or arched-backed posture, while people with Parkinson's will tend to have a more stooped-forward position. Moreover, people with PSP are more prone to falls due to a progressive lack of balance. While persons with Parkinson's are also at considerable risk of falling, those with PSP tend to do so backward due to the characteristic stiffening of the neck and arched-back posture. With that being said, PSP is considered to be part of a group of neurodegenerative diseases called Parkinson-plus syndrome for which some also include Alzheimer's. There is no specific treatment for PSP. Some patients may respond to the same drugs used to treat Parkinson's, such as levodopa, although the response tends to be poor (another differential used to diagnose the disease). Certain antidepressant medications, such as Prozac, Elavil, and Tofranil, may help with some of the cognitive or behavioral symptoms a person may be experiencing. Besides medication, special glasses (bifocals, prisms) may help with visual problems, while walking aids and other adaptive devices may improve mobility and prevent falls. While physical therapy won't typically improve motor problems, they may help keep the joints limber and prevent the deterioration of muscles due to inactivity. In cases of severe dysphagia, a feeding tube may be needed. Surgically implanted electrodes and pulse generators used in deep brain stimulation therapy for Parkinson's have not proven effective in treating PSP. Despite the lack of understanding about PSP and the limited treatment options, it's important to remember that the disease has no set course and can vary significantly from person to person. With consistent medical oversight and good nutrition, a person with PSP can, in fact, live for years, and even decades, following a diagnosis. 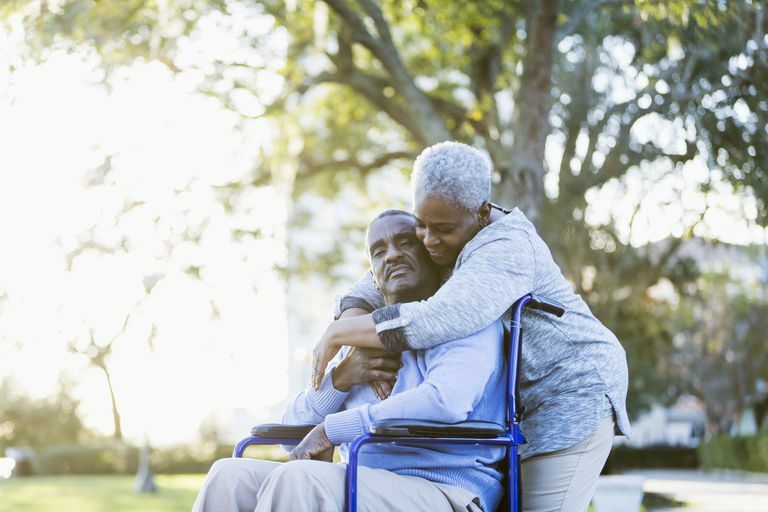 For individuals and families living with the disease, it is important to seek support to avoid isolation and to better access patient-centered information and referrals. These include such organizations as the New York City-based CurePSP which offer in-person and online support groups, a directory of specialist physicians, and a network of trained peer supporters. Ling, H. "Clinical Approach to Progressive Supranuclear Palsy." Journal of Movement Disorders. 2016; 9(1):3-13.